Lately, I have been wanting to sew a heart on everything! 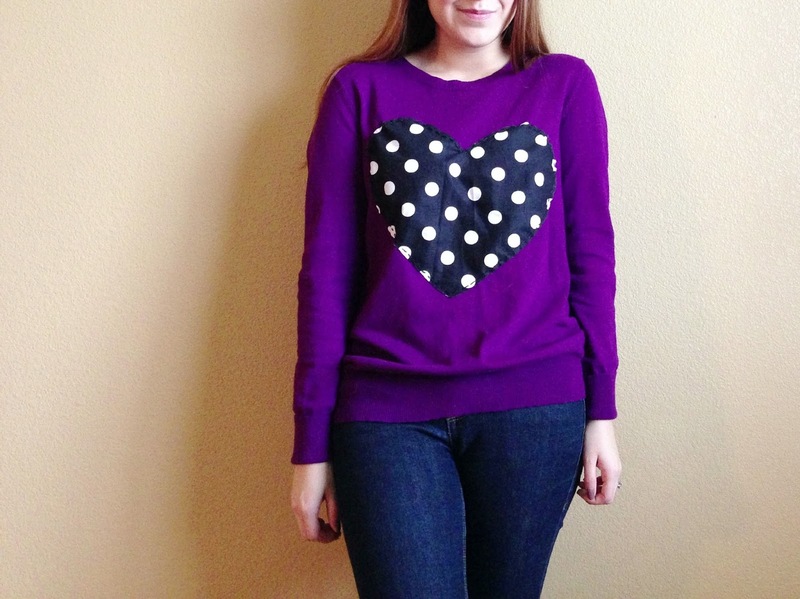 Whenever I see just a plain sweater, I just envision a heart on it. I don’t know if there is a disorder that fits this description, but if there is I think I have it. Anyway, As I was sewing my heart onto this plain ol’ purple sweater I was thinking that this would be a perfect Valentines day gift for someone. I know that if someone gave me something like this in another color, I would be a happy camper. I posted a tutorial on how to do this not too long ago here if you like the idea! Sweaters are just so comfy and perfect for this season. Why not cute-ify them with a heart?! 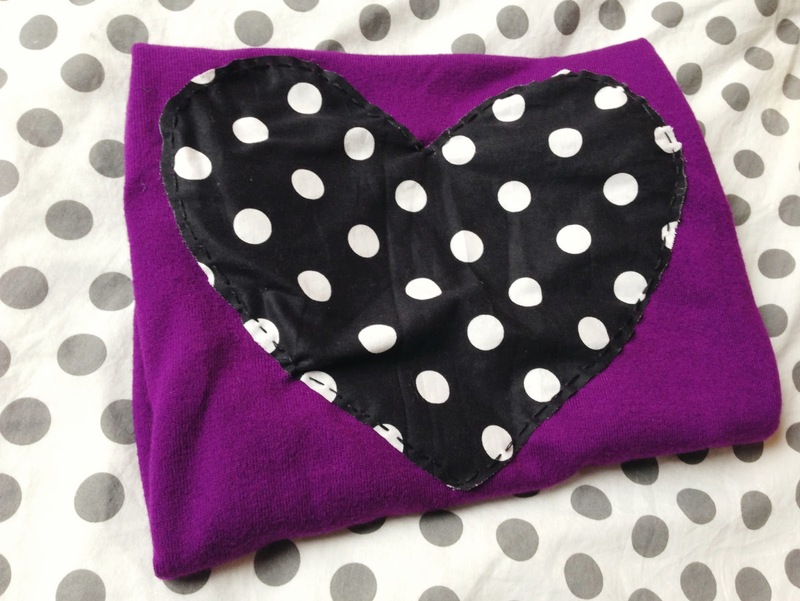 The next project I plan on moving onto is heart elbow patches! 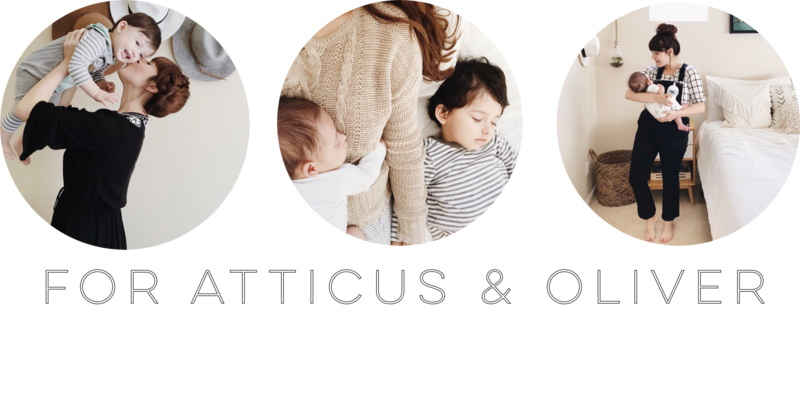 A Beautiful Mess has a perfect tutorial on that, if you want to check it out! Ah, this is just so cute! 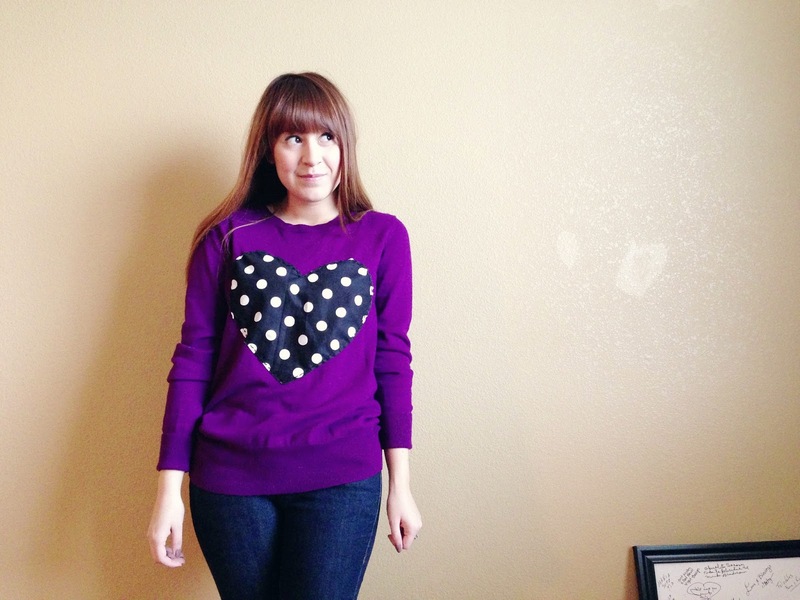 I love sewing little hearts on everything too.. lately I have been making heart pockets! This is such a cute jumper! I love the tone of the purple, it's gorgeous! 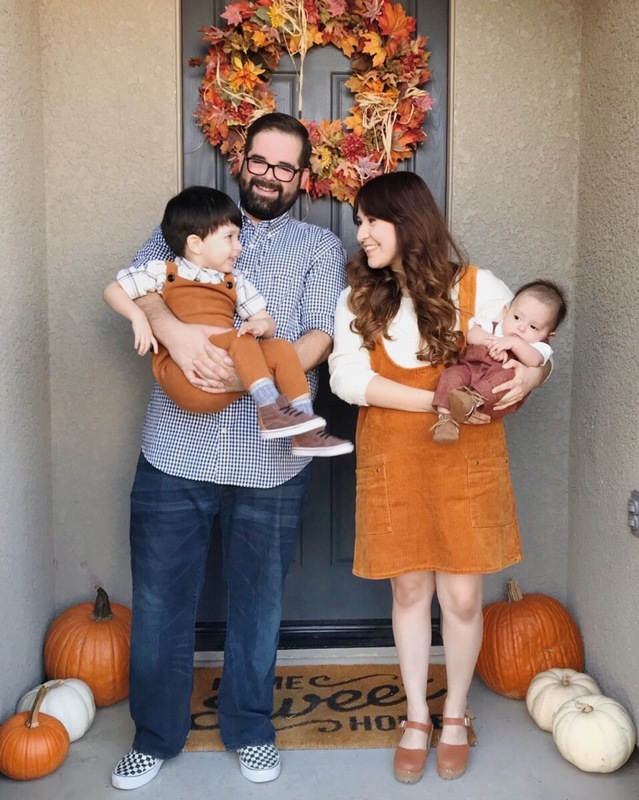 I am in love with this sweater & your blog! You're too sweet! Thank you! Oooo! 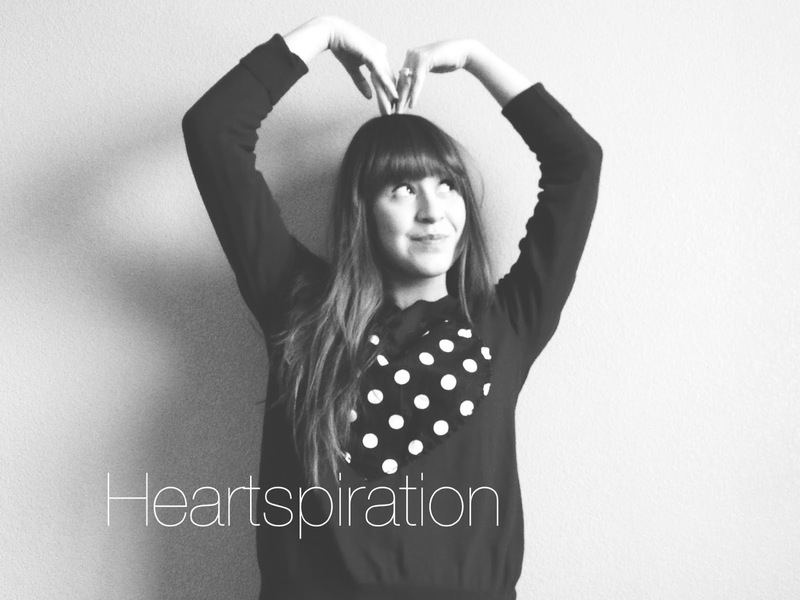 I love the heart pocket idea! I need to try that! This is too cute as always….